Tokyo has sold $11 bln of stock in the postal operator, mostly to Japanese households. This sequel to a huge privatisation in 2015 owes little to the former state monopoly’s growth prospects, and almost everything to its cheap valuation and unusually high dividend. 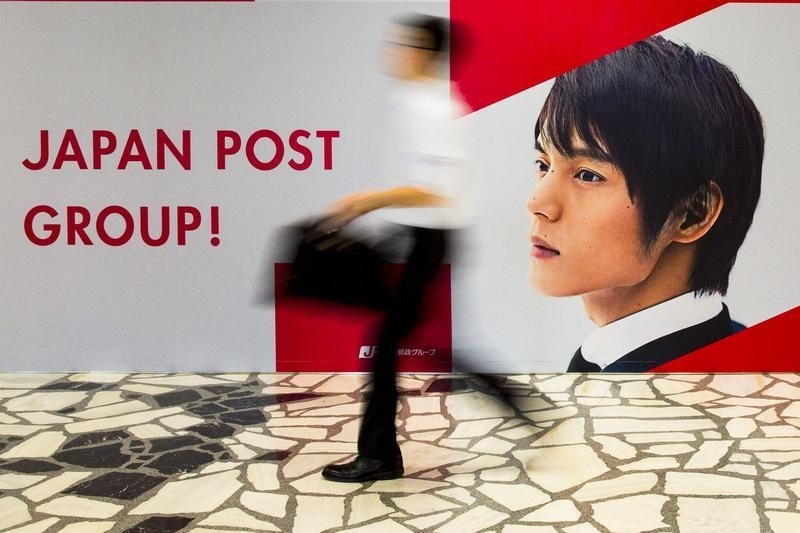 The Japanese government raised about $11 billion from selling down its stake in Japan Post Holdings, Reuters reported on Sept. 25, citing a company filing. The value of the deal could later be bumped up to 1.3 trillion yen ($11.6 billion) if an overallotment of shares - to be determined on Sept. 27 - is fully taken up. Japan offered 929 million shares at 1,322 yen, a 2 percent discount to the closing share price, and at the tight end of an indicative range of 2 to 4 percent. The deal was largely sold to domestic retail investors, who were allocated 76 percent of the stock. The sale is aimed at helping fund reconstruction efforts after the 2011 earthquake and tsunami. It was the first since triple initial public offerings for the postal firm and its two units, Japan Post Bank and Japan Post Insurance, in 2015.